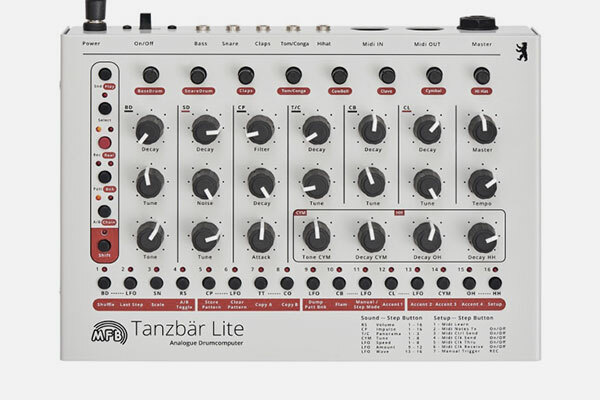 The Tanzbar Lite drum-computer is a further development of MFB 522. He offers nine (808 style) powerful analogue percussion instruments and a pretty great sequencer who stores up to 64 patterns. You can chain up to 16 different patterns. An A/B button let you switch or alternate between A and B. Step lenght is individual selectable for each instrument, so polyrhythms are easy to get. Parameter lock is also possible, you can store a different sound on each step. The compact chassis is built from steel plate.